Strictly speaking, this post is neither knitting nor running related. But there is a bit of a tedious link in there so bear with me. 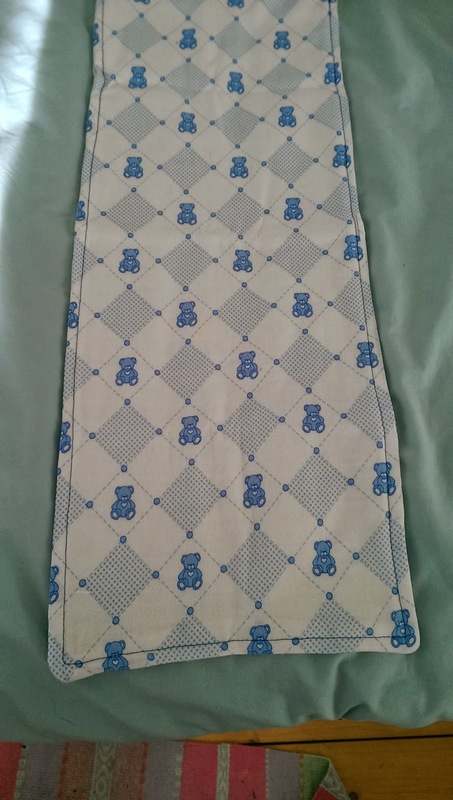 I used the tutorial here by Jenny at Anything Pretty. 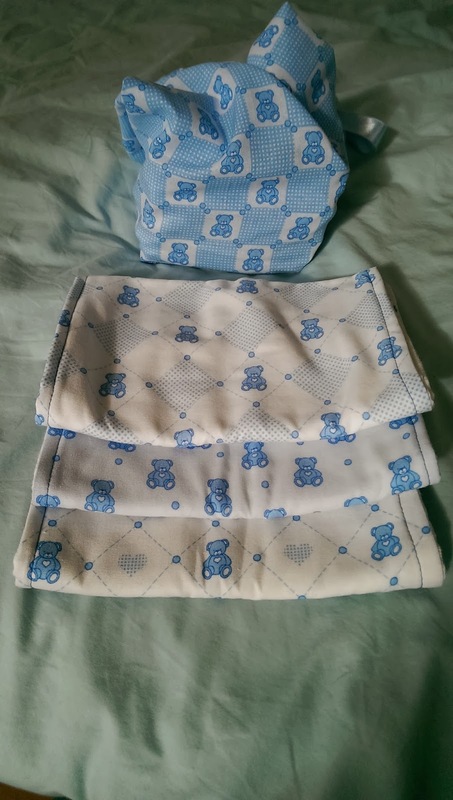 There are loads of burp cloth tutorials out on the internet, but I chose this one because it didn't call for 'pre-folded diapers' (many of the tutorials are American). 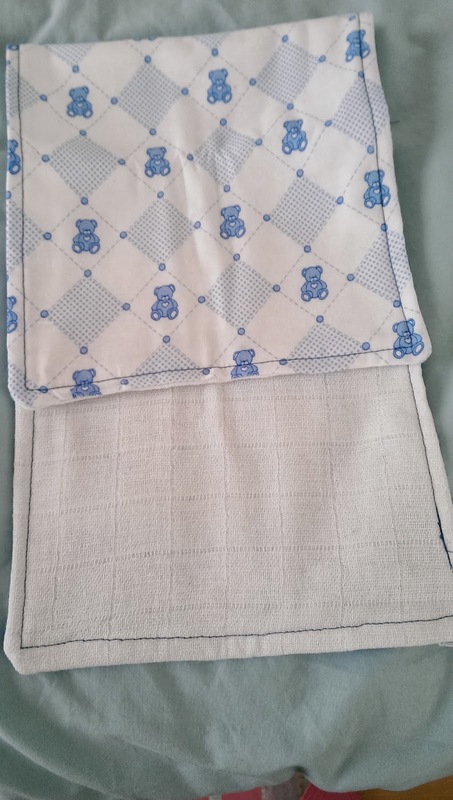 I used 2 layers of muslin that I bought from Boots, and 3 fat quarters cut in half lengthways, so I ended up with 6 burp cloths. I then made a little bag using this tutorial - it was surprisingly simple! Confidence built, I then went on to make a bag. A proper little bag. I'm stupidly proud of that, so it's going to have its own post. On from almost knitting stuff, to almost running stuff. The half-marathon training has been making me hungry. Really, really, ravenously hungry, pretty much all of the time. I needed something healthy and filling to snack on. So, I typed 'healthy homemade energy bars' into google, and hey presto the internet came up trumps. Again. 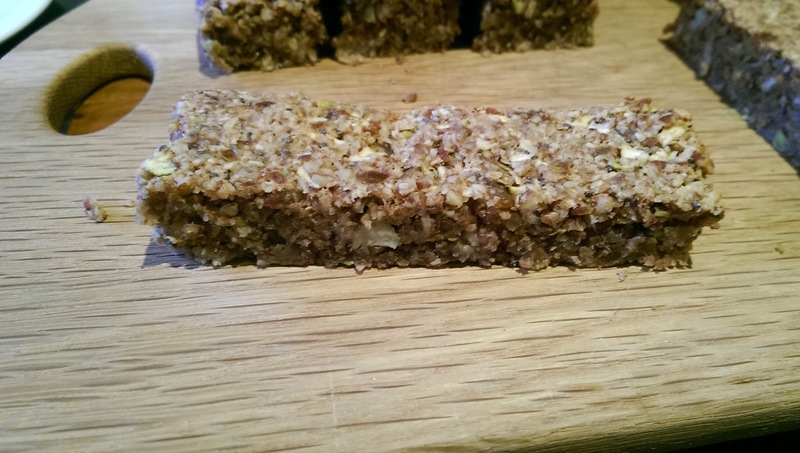 A little browse later and I decided I wanted to make these apple and cinnamon bars. These things are bloody brilliant. No sugar, no butter just dates for sweetness and the apples to hold it all together. 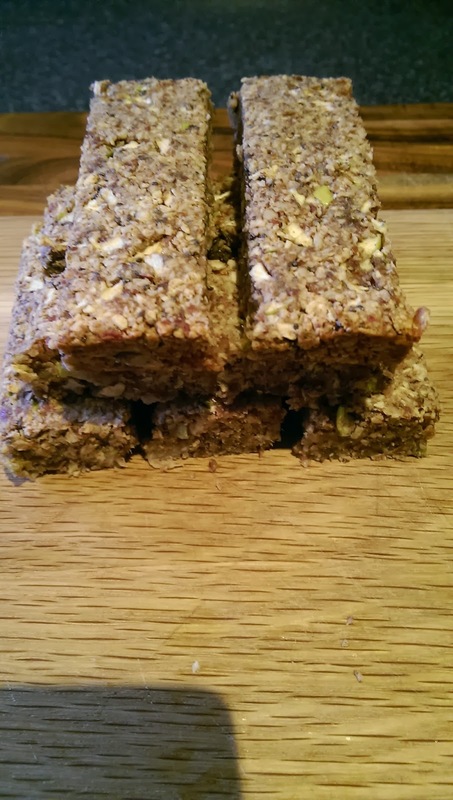 It's just putting oats, pecans, dates, apples and some cinnamon (I threw some chia seeds into the mix too) into a food processor then baking the result for 20 mins. And they taste absolutely delicious. Added bonus - dairy-free! Which means my sister over at cakeykate.com can eat them too! Up next; half marathon training progress and my amazing bag.